DO-01575-00 was succesfully added to your cart. Reduce the need to readjust the output voltage as load changes. Simply turn the control knob clockwise to increase output linearly. Unlike solid-state controls, these units do not cause waveform distortion—eliminating errors in voltage and current measurement. Select a ventilated, steel cased model for your benchtop applications or general utility mounting. 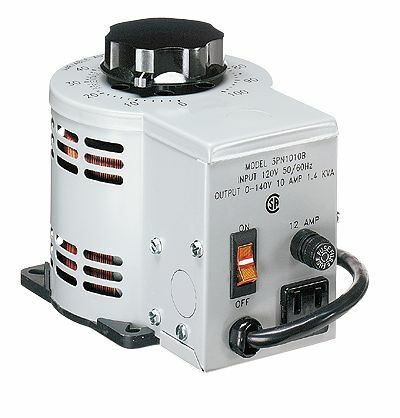 What's included: a 6-ft grounded cord with plug, a three-conductor receptacle, pilot light, fuse, and a double pole on/off switch which disconnects both sides of the line to prevent electrical shock. We use the voltage controller to adjust our lab mixer speeds. It is compact and easy to use. It is a bit heavy though, one must be careful moving it from counter to counter.